Commencing this season’s series of events the gallery presents an exclusive performance by Emanuele Torquati. The pianist will play ballades ranging from Furrer, Brahms, Sumera, Zemlinsky, Douglas and Grieg, a programme specially tailored for this unique evening of music at rosenfeld porcini. Although a contemporary gallery, rosenfeld porcini values a multidisciplinary approach both through its curated yearly themed exhibitions and the initiation of a cultural program focusing on one off niche events. rosenfeld porcini’s ongoing cultural programme features performance, debates and talks where the public is invited to experience and explore contemporary genres and topics in art. About the musician: Emanuele Torquati (b. 1978, Milan) is rapidly gaining international recognition for his poetic and passionate music making, communicative performances and engaging programming. 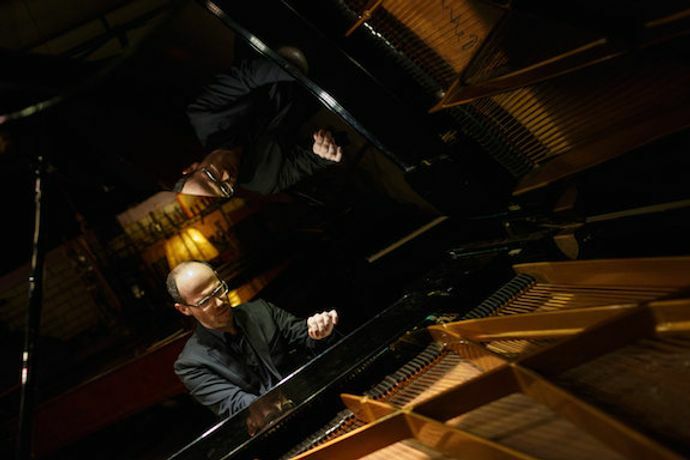 He has been hailed as “a thoughtful musician and a champion of contemporary music” by the New York Times and as “a vibrant pianist, excellent overall” by the Boston Globe. His flourishing career has taken him to some of Europe, Canada, America and Africa’s most illustrious venues, in such diverse cities as Addis Abeba, Buenos Aires (Teatro Colon), San Francisco, Banff, New York, Chicago, Vancouver, Boston, Paris, Lyon, Frankfurt, Berlin, Leipzig, Berlin, Prague, Krakow, Munich, Graz, Ljubljana, Kiev and Oslo.